Wn10 Riva-Bella, K.V.U.Gr Riva-Bella, K.V.Gr Caen. 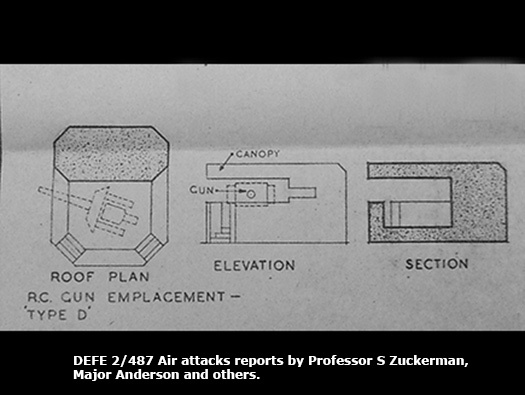 1 x R644 6 embrasure turret bunker. 1 x R626 casemate for a 7.5cm Pak 40 with roof canopy. 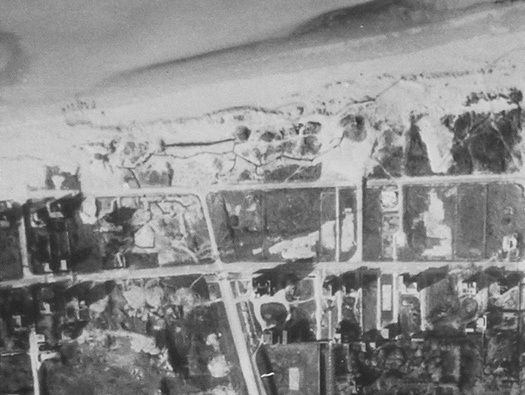 1 5cm KwK L/60 Pak. Poste De Secours ------------------ Monument Français Libres. The western flank of Wn10. 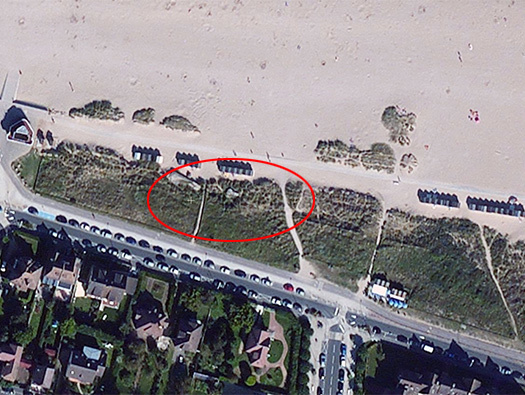 Two air photo of the beach showing the second a bit later building work has been started and the regeneration of the area building up. WAAF photo interpreters at RAF Medmenham. 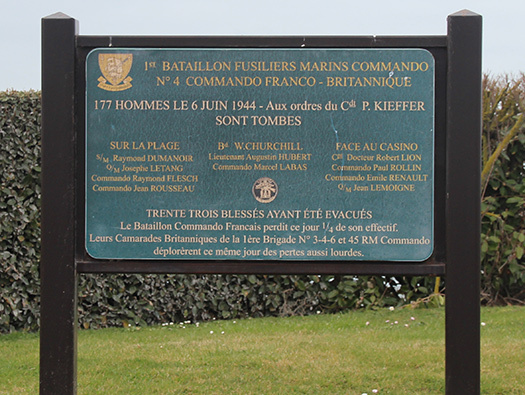 The site of the R626, observation post and anti-tank wall. Wn10 Riva-Bella R626 casemate for a 7.5cm Pak 40 with roof canopy. 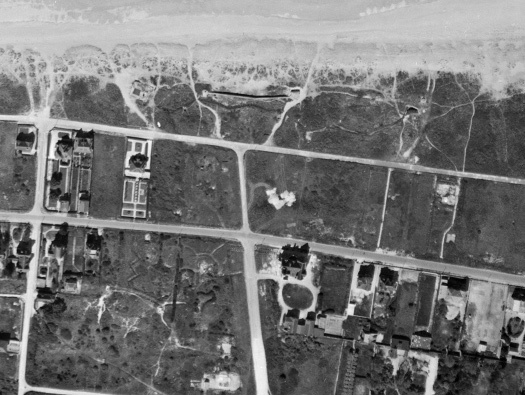 The casemate just showing up behind the beach huts. 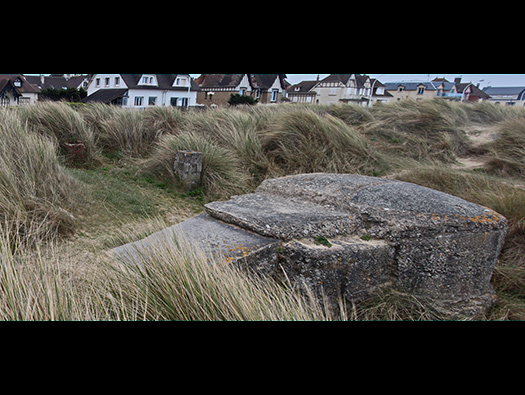 This is the angle the gun would have fired away to the west and when the landings started it must have been very busy firing at British landing craft and tanks coming ashore. 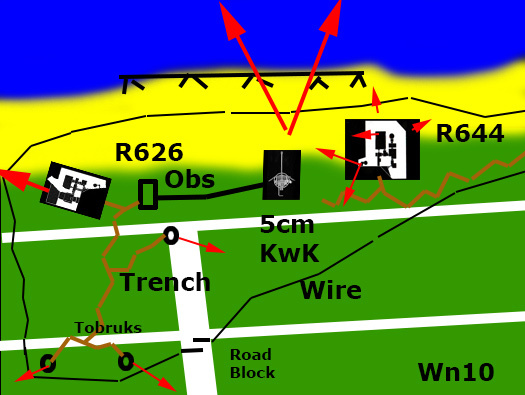 The Tobruk defence of the R626. 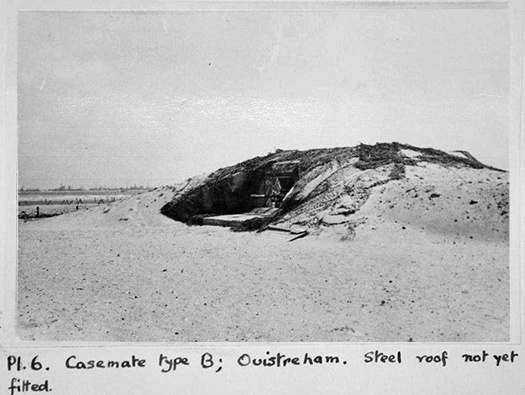 R626 casemate for a 7.5cm Pak 40 with roof canopy. Steel studs on the roof. 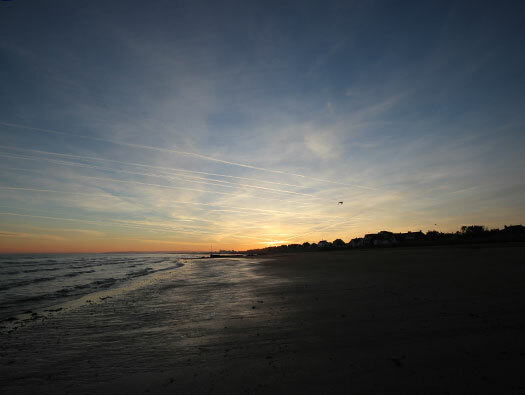 The steel studs showing up well on this original picture. 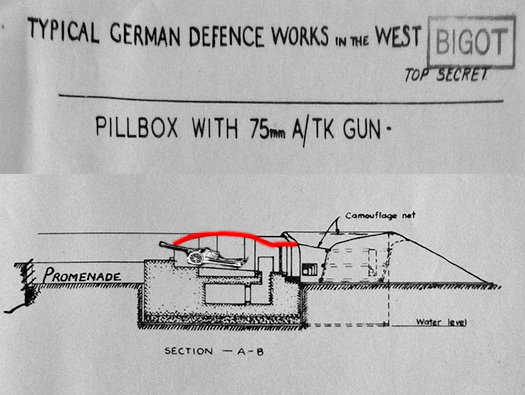 Plan showing the steel canopy and where an anti/tank gun would have fitted. Note the flanking wall covers the embrasure. 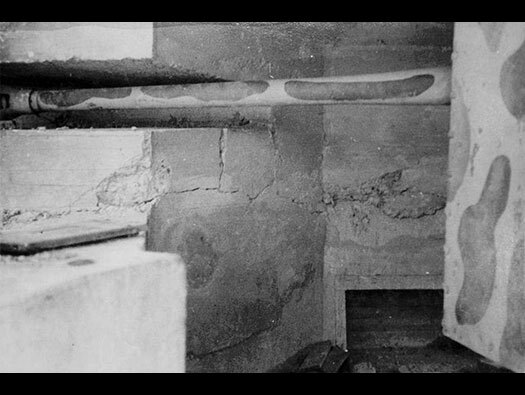 This is the flanking wall that covered the embrasure from direct fire from the sea. Observation post. Not a very pretty one. Tobruk's were not just a defence but also can be used as an observation, a pair of binoculars could be fitted onto the machine gun ring to steady them. 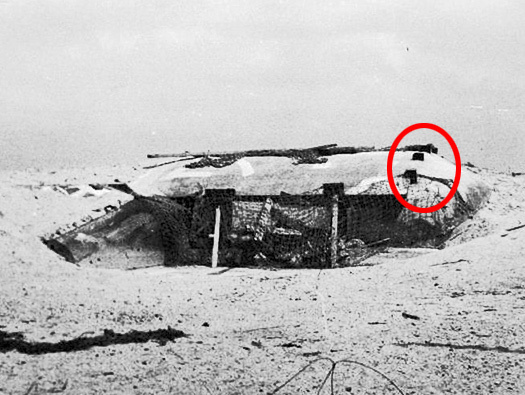 Machine gun ring for a Tobruk. 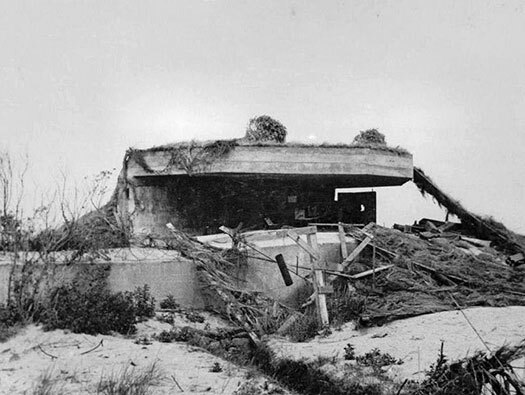 Wn10 Riva-Bella Observation post - anti-tank wall - 5cm KwK Pak..
How it looked just after the war when a team of army intelligence officers toured the coast taking pictures of the battlefields. 30 ASU (Commando) was one of these units. Wn10 Riva-Bella 5cm KwK Pak L/60. This is a post capture photo showing the camouflage netting still draped around it. 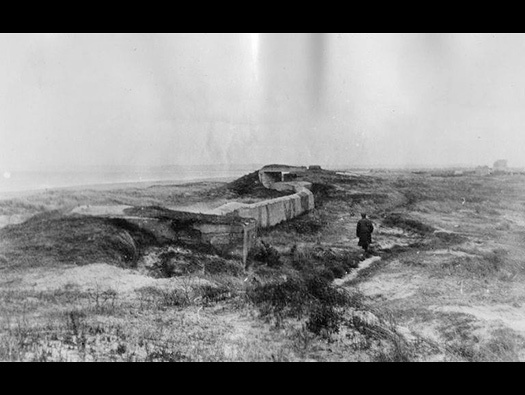 Also a slit trench leads up to the position and the small anti-tank wall on the left side.. This is another interesting point, the slit on the side of casemates were used to store the barrel when under heavy attack to protect it. Also see the camouflage on the barrel and shield. 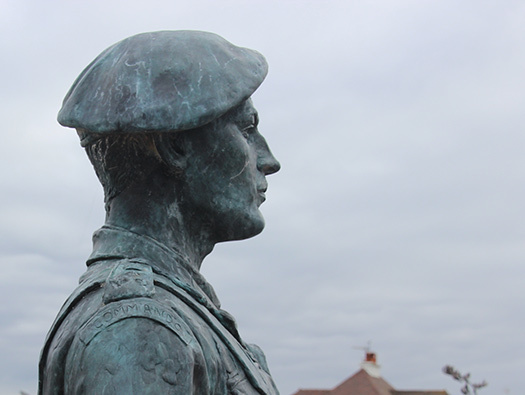 the cracks in the concrete are due to the emplacement being hit by artillery in the landings. Some moths after its capture. 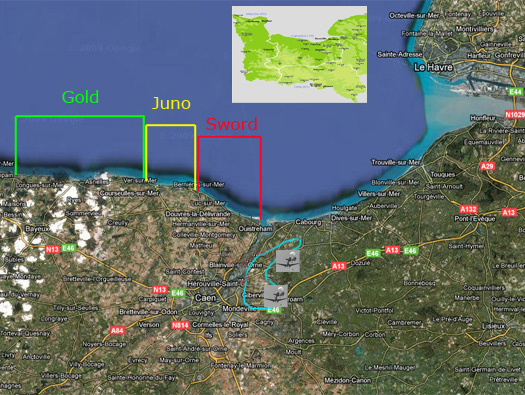 Allied plan for the the Ringstand. Wn10 Riva-Bella R644 with a 40P8 turret. 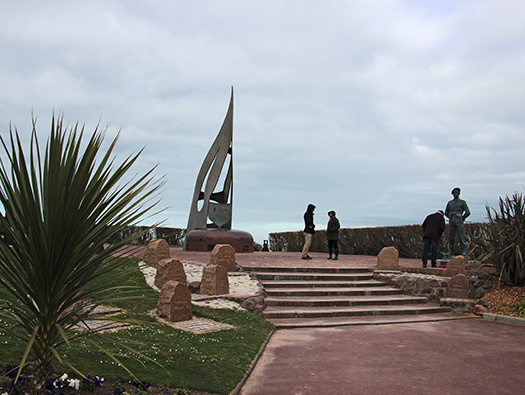 Now dedicated memorial to the French Commando and its leader Lieutenant Commander Philippe Kieffer. 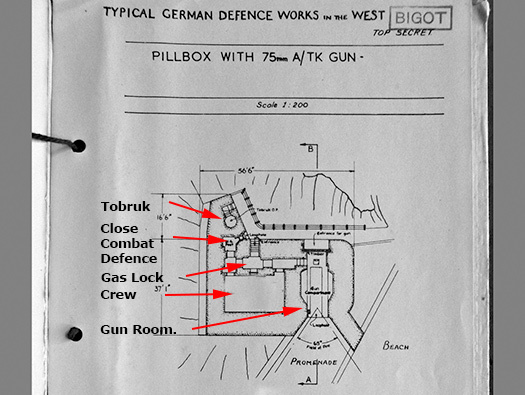 Plan of an R644 with a large crew room, gas lock, close combat, ventilation, ammunition and turret. 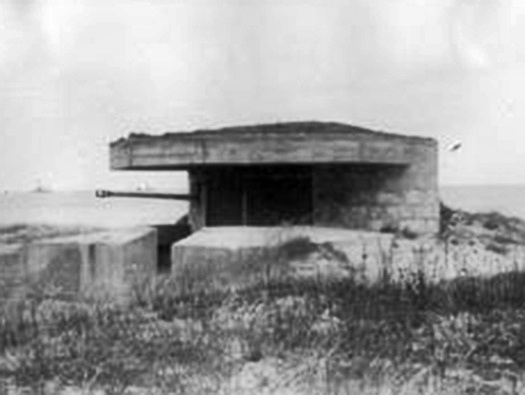 Lowering a steel turret into a bunker and then concrete would then be poured. 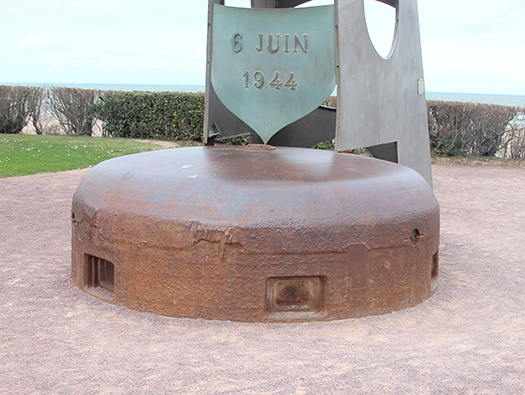 A six embrasured steel turret where a gunner could sit inside and could fire a fortress mounted Mg34 to any of the embrasures. Machine gunner inside a turret. Periscope fitting in the centre of turret to allow vision and directing the machine gun.